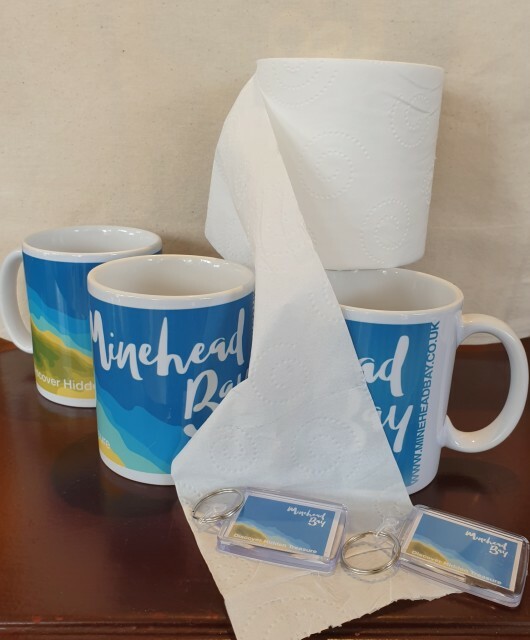 My new colleagues were right, the question I’ve been asked the most since I took up my role as Manager is “Where are the nearest public loos?” I’m not going to tell you the answer, you’ll have to come and see us at the Minehead Information Centre if you want to know. Let me put the toilet question in context. 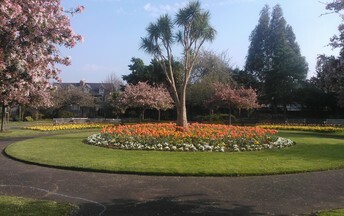 Minehead Information Centre, situated in the Beach Hotel offers so much more than lavatory locations. We pretty much have the answer, backed up by suggestions and the odd leaflet, to most questions asked to make your Minehead experience a good one. 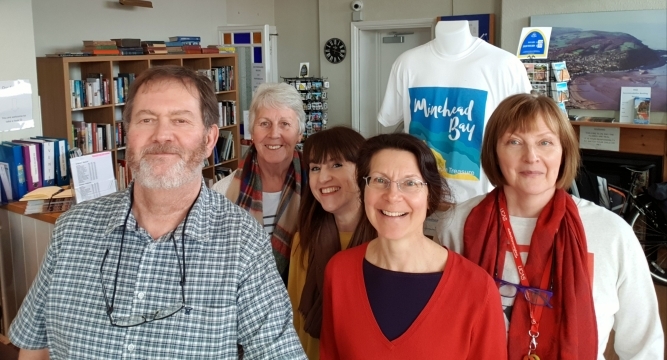 Being a “local lass”, as someone referred to me this week, what strikes me most about joining Minehead Information Centre is how great Minehead and surrounding area is and how much there is to do for local residents and visitors. Free activities like the Maritime Mile Heritage Trail along Minehead sea front, including an interactive app, a quiz and a prize (what more could you ask for) is one example of free fun for locals and visitors, you really should do it! I’ve told you the question I’ve been asked the most in my first six weeks at Minehead Information Centre so I feel I should also share with you the most unusual question so far: ”Can my DAB radio get the greatest hit channel?” Priceless! I love my new job! Sally, Richard, Nicky, Lena and Dawn.